Have you ever considered what amount most expensive rugs in the world would set you back? We have, of course. The numbers might make you pale, but these textiles are essentially perfectly preserved relics of significant history. 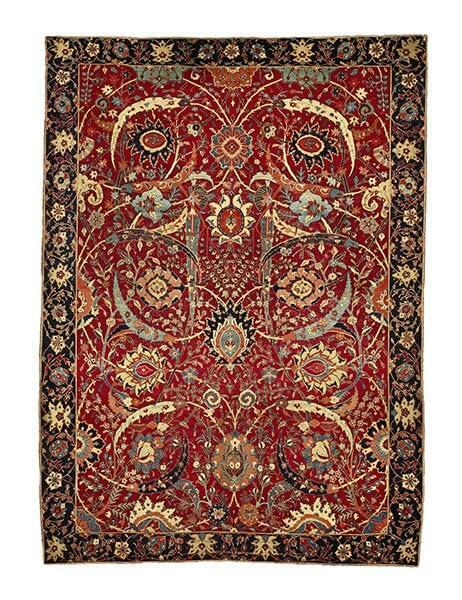 These kinds of world renowned carpets and rugs are often sold at auctions or kept within families for centuries. The Vanderbilt family, for one, proudly displayed a Mughal Millefleurs “Star Lattice” carpet from India in their Manhattan residence until it sold for a cool $7.7 million in late 2013. Earliest known examples of designs and motifs are also extremely hot commodities. A mid-17th century Kirman “vase” rug pulled in $9.6 million for that very reason, as it’s the first known rug to feature the popular Persian design called the herati pattern. The most expensive rug ever sold at auction? A sickle-leaf vine scroll and palmette “vase” carpet from the early 17th century. Like the Vanderbilt’s Indian rug, it also sold in 2013 — but for an astounding $33.7 million. To see more rugs that sold for astonishingly high prices, see this full article from Architectural Digest.